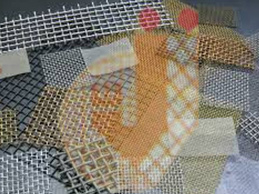 We manufacture all kinds of wire mesh in India. Wire is woven in different type of Weave pattern such as Plain, Twill Weave, Dutch Twill Weave, Multiplex Weave. The Wire Mesh essential varies from opening between wire diameter & different wire diameter used for weaving. Wire Specifications, Weaving Pattern, Opening & Wire Diameter along with the Width & Length of the mesh constitutes the specifications of the required Wire Mesh is determined according to customers specific requirements. Mesh can be manufactured in any Metal, Size (Width & Length) & Specifications which cater to different types of Industries.